Love and protect your skin every day! 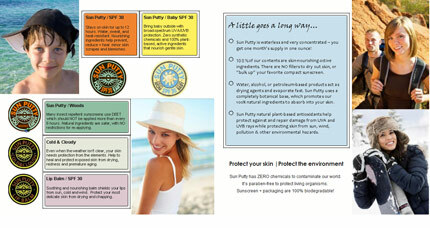 Apply 100% plant-based, biodegradable, skin-nourishing Sun Putty SPF 30 every morning then get outside and have some fun! 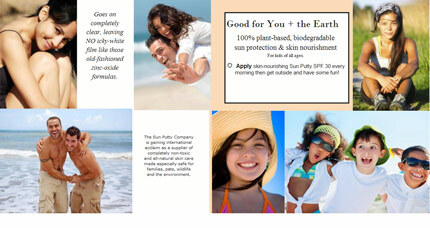 Discover sun protection that is good for you and good for the earth. Protect your skin and the environment with the world’s first truly 100% natural, therapeutic sunscreen—it’s totally transparent, yummy-smelling, and fun to wear!